Things I Love Thursday: Cupcakes! We recently discovered BuCu, which has become our favorite cupcake place. They are sort of expensive but they are a special treat, not really something we would have every day. They also have a “cupcake” milkshake, which is another decadent desert. I would like to do a series of the cupcakes, which means I would get to try all the different varieties. 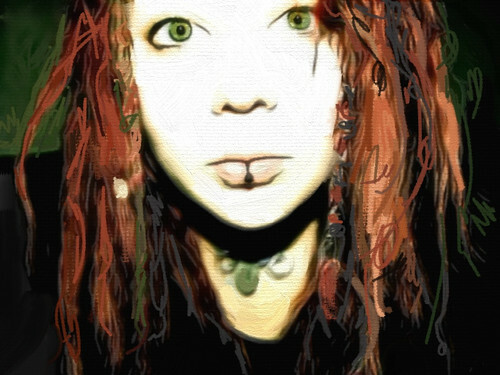 This was done with Toonpaint and Artrage on the iPad. It was inspired by the work of Wayne Thiebaud. 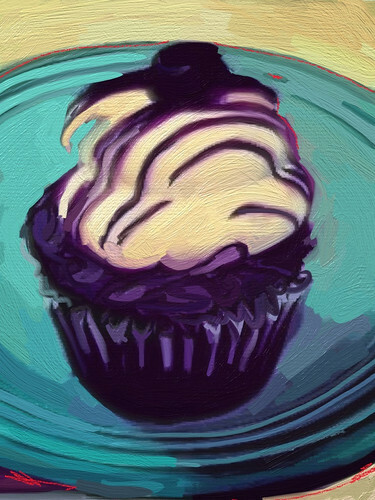 I really love his colorful and painterly pictures of cakes and other food. 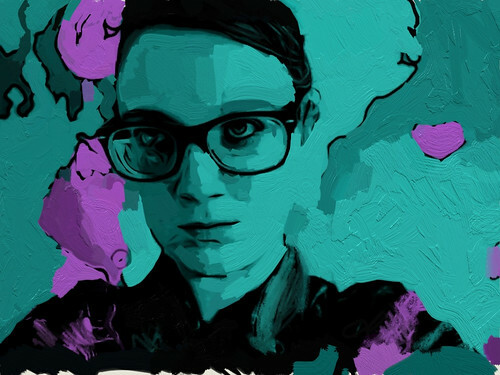 This is a portrait of Marta B. for Julia Kay’s Portrait Party on Flickr. 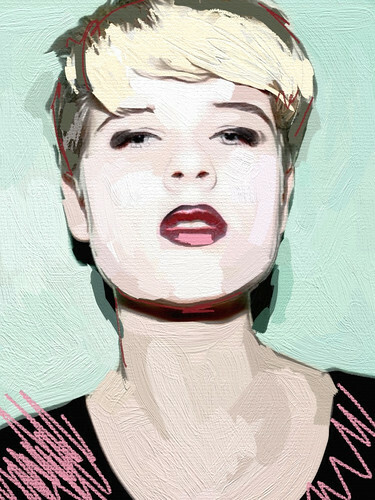 I used a combination of the Toonpaint app and ArtRage to create this painterly look. Marta’s original photo reminded me of the covers of Andy Warhol’s Interview Magazine from the 1980’s. I was also thinking of Wayne Theiboud’s colorful paintings. Rebecca Snotflower For JKPP, originally uploaded by Ritaflo. 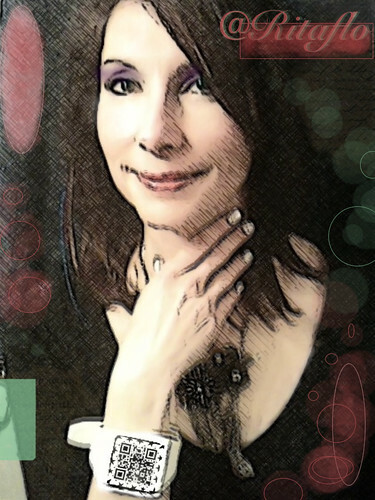 This is a portrait of a new member of Julia Kay’s Portrait Party using a combination of Toonpaint and ArtRage. 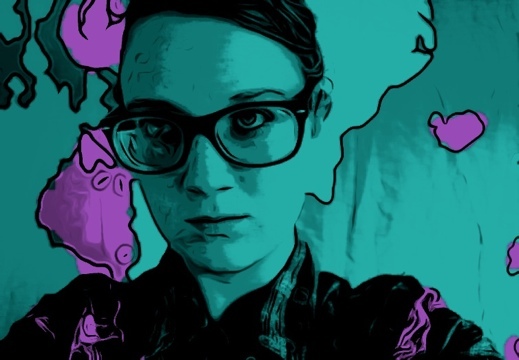 Since getting the Percolator app for my iPad I’ve been experimenting with the various filters to see what they can do. I decided to test out whether I could Percolate my QR code and would I still be able to scan it. I tried out the Star setting on Percolator and i tested it out as I went along. 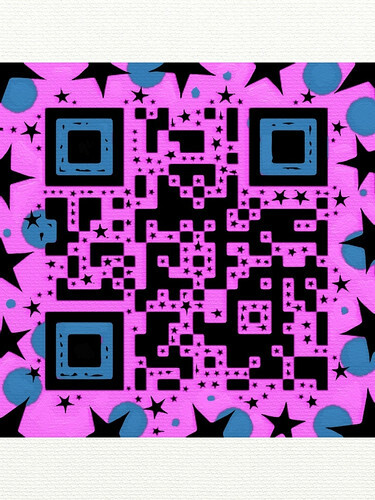 Next I wonders if I could import the star QR code into Toonpaint and ArtRage to make a more colorful and abstract QR code. The color version still works but I think the phone has to be very carefully aligned to the QR code. 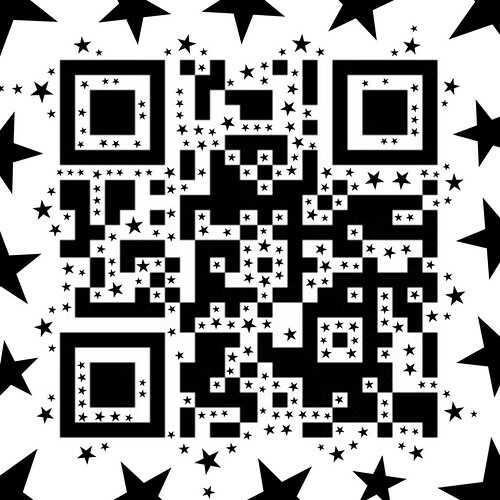 Eventually I want to make new Moo round stickers of my QR codes to distribute and stick on promotional materials. I am still working on the idea of incorporating the QR codes into my artwork, as in the picture above where I used Tooncamera and Sketchbook Pro on the iPad. 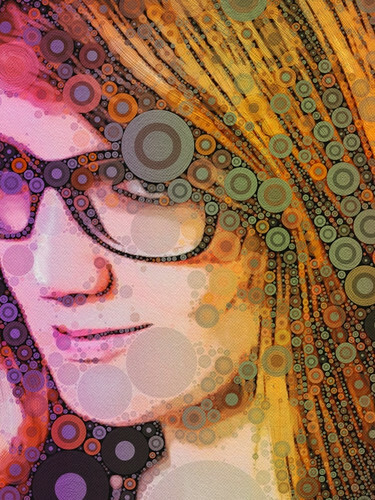 Kate just joined Julia Kay’s Portrait Party and I wanted to try the Percolator app on her portrait. 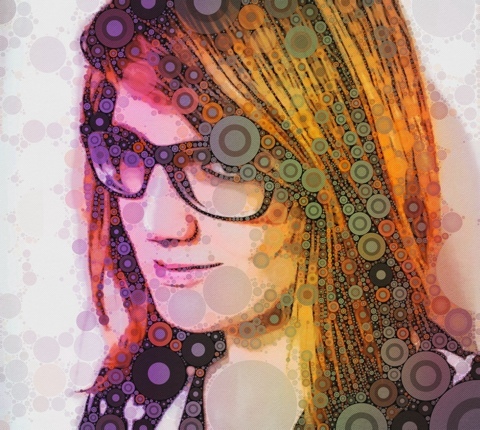 First I used Toonpaint on her original photo and then “percolated” that version. 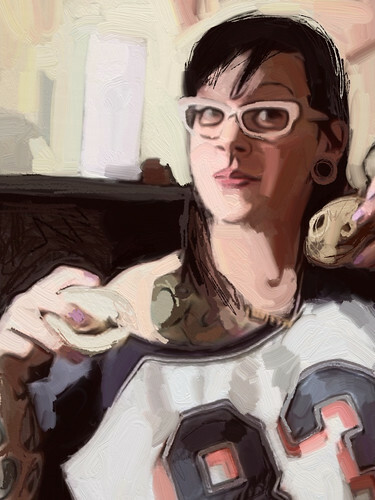 Next I imported that picture into ArtRage to add the oil paint texture. I also worked on another portrait of Kate from a black and white photo. 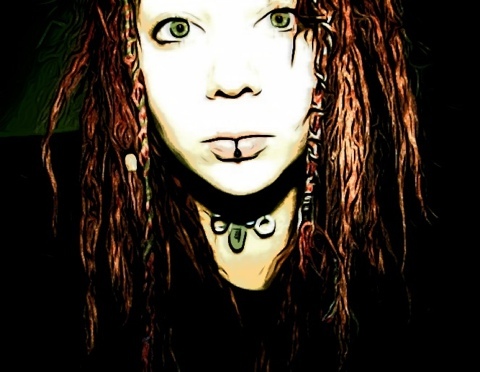 I used the Toonpaint App and added color to the picture. Next I imported that into ArtRage to give it more of an thick oil painted look. This is my second portrait of Nora for Julia Kay’s Portrait Party. 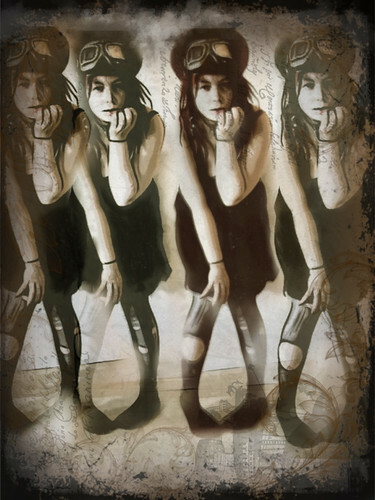 I used the Toonpaint app’s new feature which creates color “toons” and used Sketchbook Pro to multiply the images. I put one image of Nora on each layer and varied the transparency of each. I thought that Nora’s outfit had a real steampunk feel so I thought it would be appropriate to use the Steampunk PhotoTada to create the textures. This is a portrait of Nora for Julia Kay’s Portrait Party on Flickr. 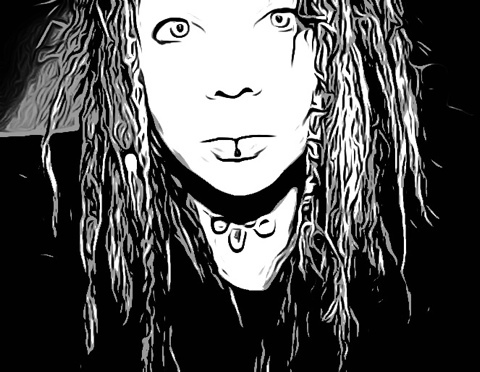 I used the Toonpaint app first and next I import a color and black and white image into Sketchbook Pro to make some adjustments. 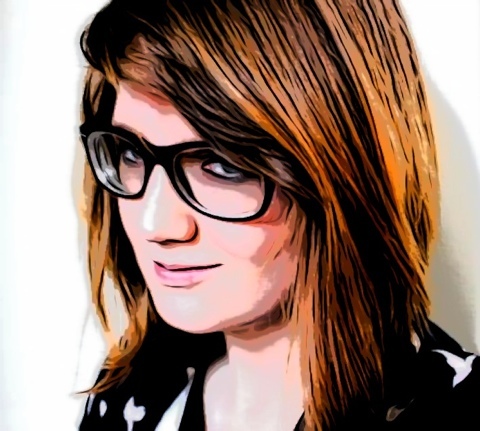 Next I imported that image into ArtRage and used the Crayon brush for the hair and the flat brush for the face.